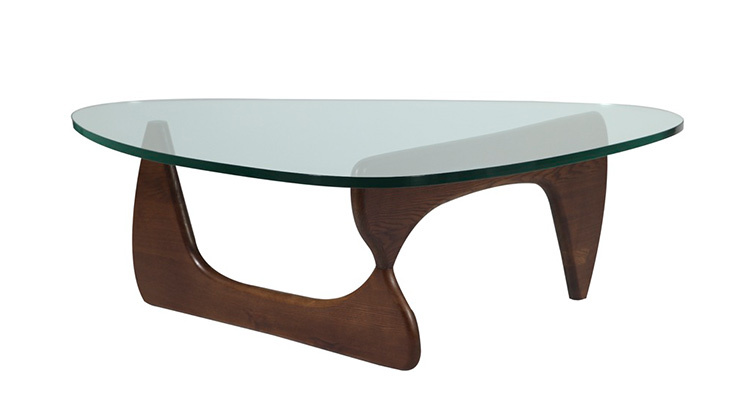 Designed by Isamu Noguchi in 1948, the Noguchi Coffee Table has a glass top and wood base. It is available with a white or walnut base. The Noguchi Coffee Table is one of the components of our Barcelona lounge Grouping – Grey and Hyde Lounge Grouping.